Sid and a young fan give a thumbs up for Science. WVPB Volunteer helps a young fan with a PBS game. 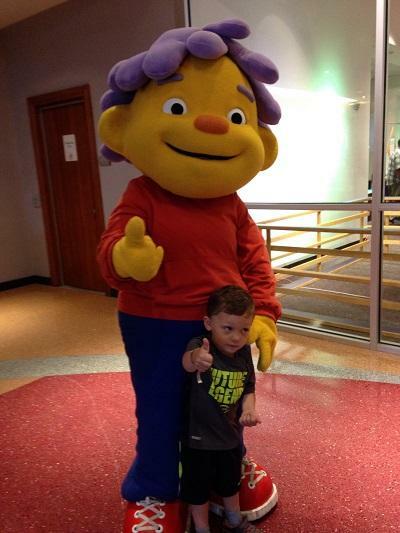 On Saturday WVPB | Education joined with the Clay Center to present "A Summer of Science Bash" with a special appearance from PBS Kids perennial favorite, "Sid the Science Kid." Over 300 children and their parents spent the day practicing hands on science projects and exploring a new Thomas the Tank Engine exhibit which will be open through the summer. 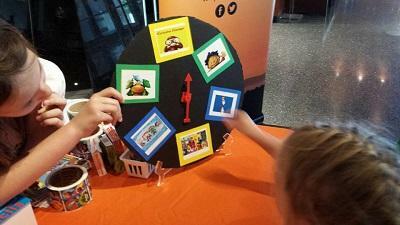 For more information about summer activities for your scientist check out PBS Kids/parents. The Clay Center is also sponsoring a summer full of Summer Science Camps including camps in late July based on PBS programs: SciGirls and Nature Cat.